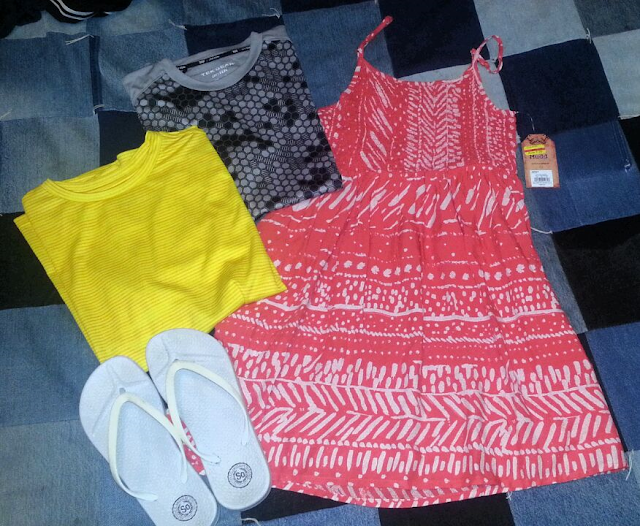 Being Frugal and Making It Work: $5 Kohl’s Printable Coupon Deals: $96 Worth of Summer Clothes for $1.06! Did you get any Kohl's coupons this week? If so, how much did you save? You caught a great deal. I love shopping at Kohl's with their coupons. It is so nice that you are able to stack them. That's awesome! I love it when I can store up a few good coupons so I can get great deals like these. Wow! You saved a lot of money! I haven't been to Kohl's lately but since my birthday is coming next week I think a trip to the store is in order. Such a great bargain! I love finding good deals like this. Wow that is an awesome steal, I mean deal! Great job! I need to visit a Kohl's now! Kohls has such great stuff. I love that you can walk out of there without breaking your budget and in this case, with such a steal!! Great going!! What a great deal! I love that dress! Great savings. Love the dress and it goes perfect with the flip flops!